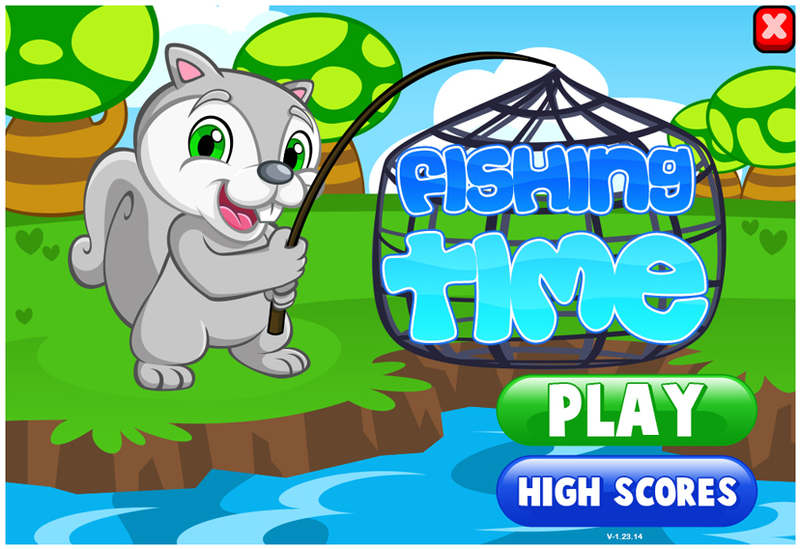 Try and catch as many fish as possible before time runs out! Each fish you catch will add a little bit of time to the clock, but be careful not to catch any Sqwabbles or they’ll eat up more of your time! Click or Tap at the right time to release the hook. Time it right to catch a fish when it’s in the hook’s line of sight! If you snag a Sqwabble by accident, press the red button in the bottom left corner to release it and save yourself some time, but be careful – you can only press this button twice!